Before long it will be Christmas, the time for family and friends to get together and celebrate. With all the festivities happening you may have people staying with you, and then its the time to ...panic! Ok, not really but you may start to think about sprucing up your home in time for your guests. Key rooms are the lounge, kitchen and the bathroom. You may not be able to focus on more than one room so here is my guide to fixing up your bathroom for the festive season. Grout can yellow with age and over time even get mouldy in the warm conditions of the bathroom. There are a couple of things you can do to refresh your grouting and make your bathroom look clean again. Firstly try the simple fix of mixing some baking soda with water to a paste and apply to the grouting, gently working in with a toothbrush, leave for a few minutes, then rinse off with water. If the grout is still looking yellow try a grout renew or grout rescue product instead. Shower curtains, if not looked after can get mouldy which can give off a musty odour. Of course, you can buy products to remove the mould, but why not buy a shower curtain, many priced under £20 and replace it to get a fresh look straight away. If you need a new shower curtain rail, some of the best ones are Stainless Steel by companies such as Byretech as they don't rust and they will look perfect for years. If you have got old marked cabinets, there are a few things you can do. Upcycle an old wooden cabinet, by sanding it down, using a primer and then giving it a fresh coat of paint. If you have the budget you can replace them too, why not look in the Black Friday sales for bargains? Online sites such as Argos, Homebase or Victoria Plump will have a range in stock. Even catalogues like J D Williams have bathroom cabinets and if you order you can spread the cost near Christmas. Be careful of choosing metal cabinets that can rust in the damp conditions though, instead choose a wood cabinet which can be surprisingly cost cheap to buy. 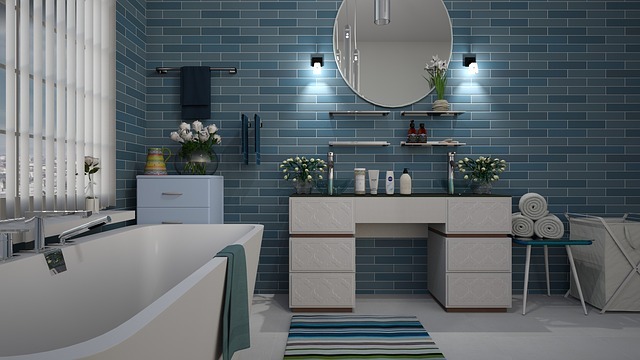 Splashing out on some new accessories can make the bathroom look great in no time. 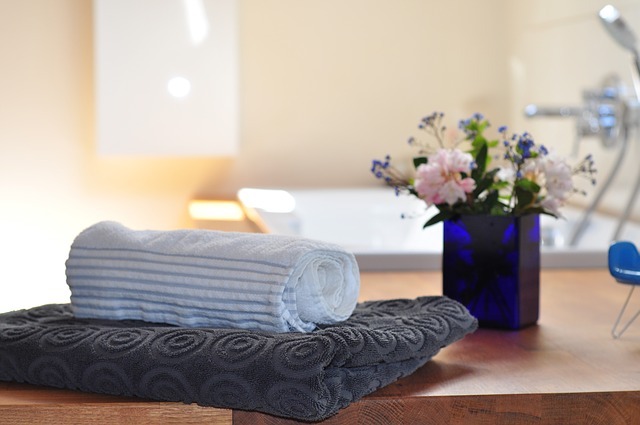 Replace the scratchy towels with plush fluffy new ones, tidy away the toothbrushes with a smart new toothbrush holder, even replacing a mirror can add a different look. To give the feel of a hotel, order some soft robes ready for your guests to stay. For the finishing touch, some fresh flowers will set your bathroom off to perfection. If you have a wood floor, painting it can give it a whole new lease of life. Make sure you clean it well first and use a primer so the paint, will adhere and last longer. Use a proper floor paint that is hard wearing and can take the footfall, or why not put down water-resistant laminate which is relatively cheap and can give your bathroom a whole new look instantly? Do you have people staying over the festive season? Yeah grout can easily get mouldy. All our bathrooms desperately need a refresh. I love these tips!